BRUSSELS, Belgium – Is it a first sign of much more to come? That’s the big question when viewing the Eurostat data on the 2017 import of conventional bicycles into the EU 28 member states from countries outside the EU. After years of decline this import is growing again. 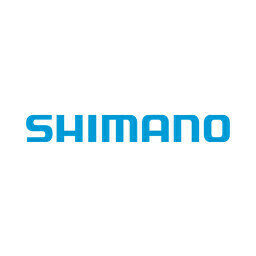 Is it an indication that demand for regular bikes is rising? It’s a worrying trend for many professionals in the sector. 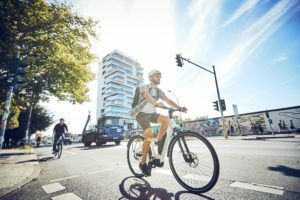 E-bikes are on the up and up, but conventional bicycles are in the doldrums. 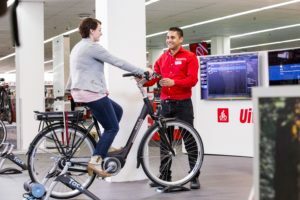 It leads to shrinking market volumes which is hurting parts makers and of course also bike makers and especially the ones that didn’t take e-bikes that serious in the past years. 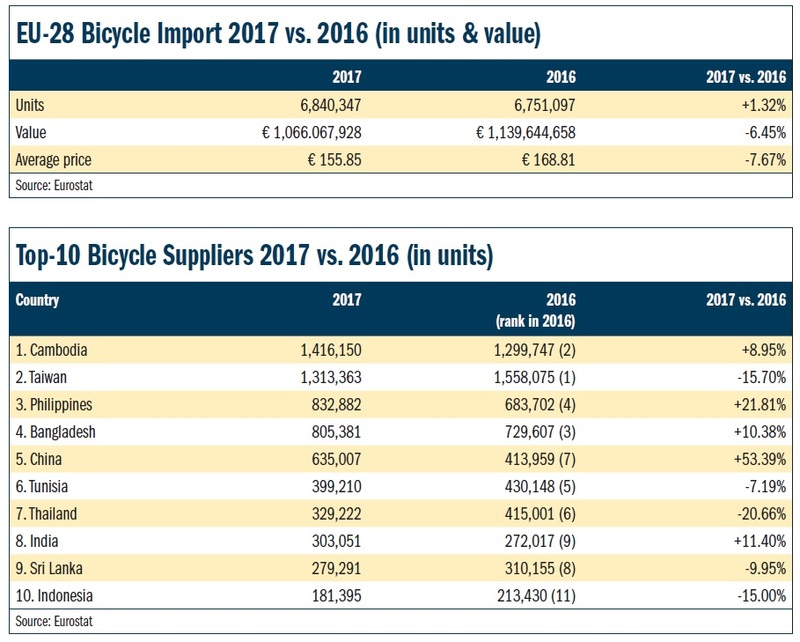 Has this disturbing phenomenon come to an end in 2017 with imports of conventional bicycles into the European Union’s markets showing a small but significant growth? How disturbing, better said how disruptive, this trend has been is proved by looking some ten years back to this import from countries outside the EU. In 2008 it stood at close to 9.5 million units. Nine years later, in 2017 the import totalled 6.7 million bicycles. This accounts for a close to 30% drop! The decline has continued over the past two years, as evidenced by the import figures from Eurostat; the European Union’s data bureau. Bicycle imports dropped by 3.2% in 2015. One year later things got really serious. 2016 saw an over 10% drop to well below the 6.5 million units mark. 2017 is showing recovery as growth stood at 1.3% to a total of 6.8 million imported bicycles. Value wise the 2017 import dropped noticeably. 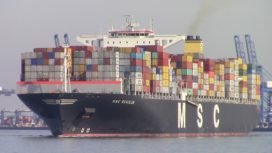 The average value per imported units dropped to 156 euro; down close to 8% on some years of stable 166 to 168 euro values. Whether this drop is to be contributed to currency fluctuations remains the question. However, during 2017 the US dollar dropped significantly in value (some 13%) against the euro and as Far East procurement takes place in US dollars this seems the obvious reason. Also some very interesting developments come to light when looking at the countries of origin of the imported conventional bicycles. Like the fact that Cambodia is now EU’s biggest bicycle supplier. It has overthrown Taiwan from that number one position which the island off the coast of China has taken up for over 20 years. In 2017 1.3 million bicycles were imported from Taiwan; down a big 16% on the 2016 total. However, this number stands in particular small when viewing some ten years back. In 2008 the EU imported close to 3.5 million bicycles from Taiwan! Compared to the 2017 total the over 2 million units drop accounts for a 60% decline! As for the reasons behind this huge drop; there are three obvious ones. 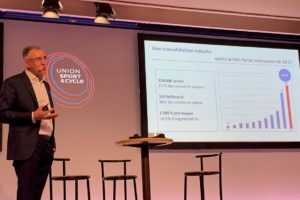 The first is shown in the table of EU’s biggest supplying bicycle countries. Here Cambodia stands now firm on the top position. However, all the bike makers in Cambodia come from Taiwan and still have their HQ’s there. Next to Cambodia there are other Fareast countries where currently Taiwan bike companies are based which export to Europe; like in the Philippines. So, production has been switched from Taiwan to other countries in the Fareast. Next to these countries Taiwan production has also shifted to Bangladesh and Tunisia. In particular as from these countries bicycles can be imported into the EU without having to pay any import tax. This is reason number two. And how successful the exporters in the two named countries are, is shown in the Top-Ten supplying countries table. 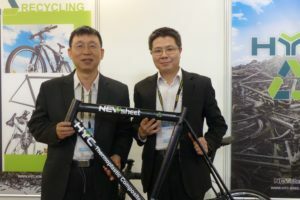 Reason number three for the huge decline in bicycle export from Taiwan to Europe is in the fact that the bike industry in the country is switching to e-bike export. In the past three years that export to Europe has tripled. However, with some 130,000 units exported in 2017 (see the e-bike import report on the next page) this number is still small when compared to those of regular bicycles exported. But value-wise e-bikes form a much more profitable and interesting export product. What is also especially striking when taking a closer look at the Top-Ten supplying countries table, is China. 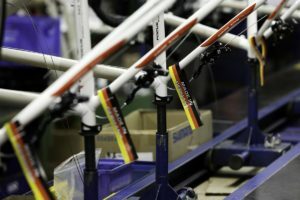 The import from the Peoples Republic of China of conventional bicycles into the EU, on which an anti-dumping of 48.5% is levied next to an import tax of 14%, increased by a big 54% in 2017. After years of hovering between 350,000 to 400,000 units suddenly this import climbed to 635,000 units. This surely must be raising some eyebrows of stakeholders inside the EU industry.